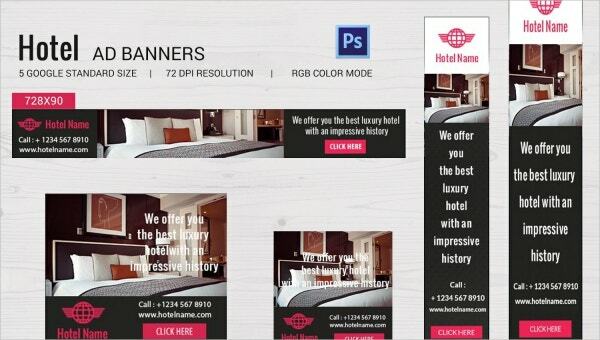 Are you looking forward to promoting your hotel in the best way possible? Well, there are several promotional avenues to go for such as posters, brochures, ad banners, flyers, posters, rack cards, invitation designs and so on. 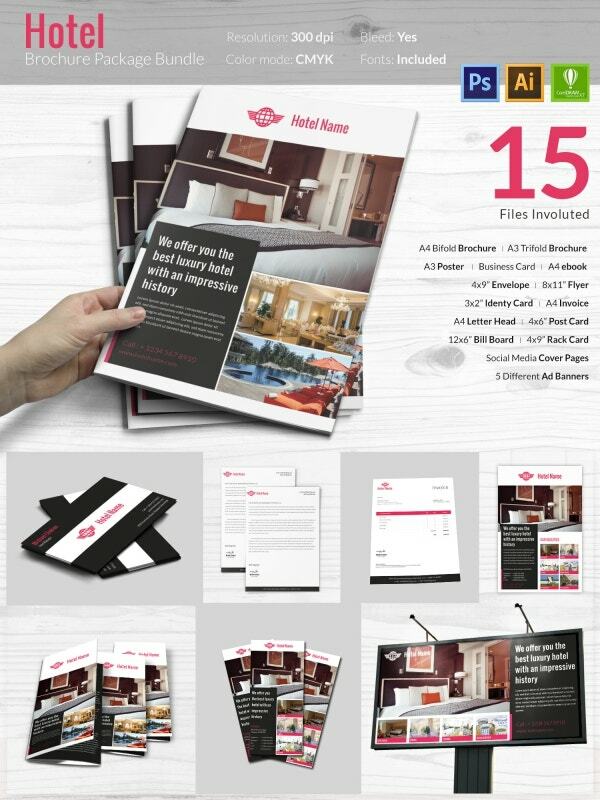 If you need ideas on how to design such several promotional goodies in the best interest of your hotel there are expert-designed hotel logo templates to go for. These are ready-made structures with editable image and text which can be modified easily with your promotional content. You can also see Restaurant Website Templates. 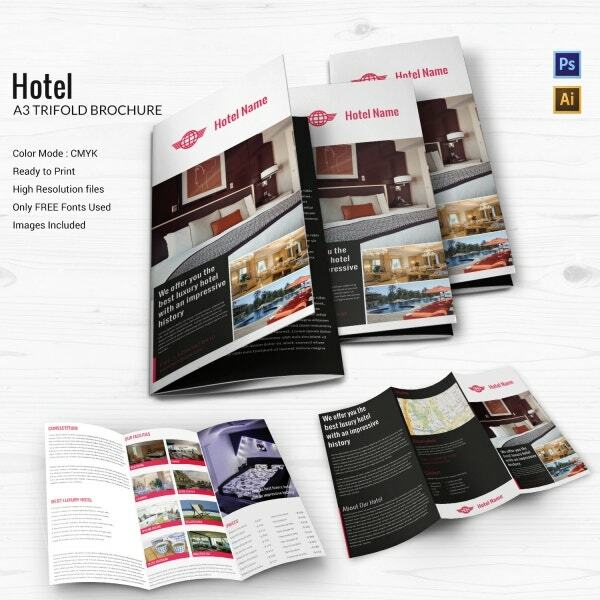 If you are looking to market your hotel in the most vibrant and pronounced way, this A3 tri-fold brochure would be great for you with ample space for images and text. The entire content is easily editable. The back side of the brochure also allows you to include a clear map for your hotel directions. 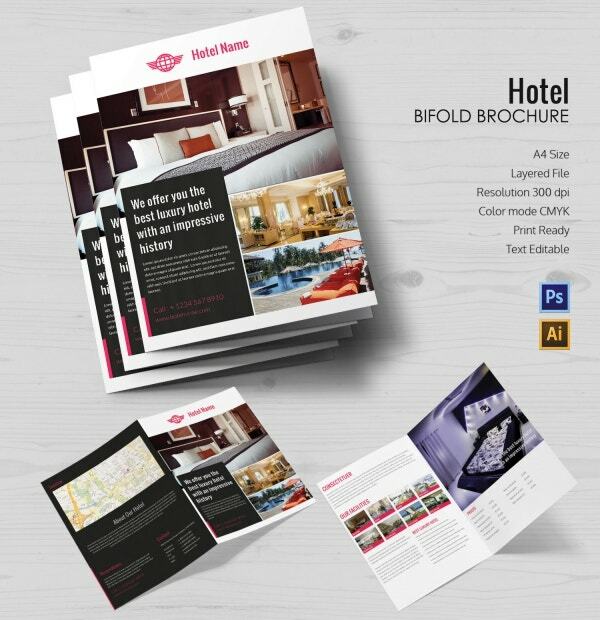 You are getting a bi-fold hotel brochure here which will enable you to showcase the best areas of your hotel in the most pronounced way with sizeable images. You will also find multiple places inside the brochure template to highlight different rooms and amenities of your hotel through great pictures. This template bundle here comes with as many as 5 ad banner templates in different Google standard sizes with 72 dpi resolution. 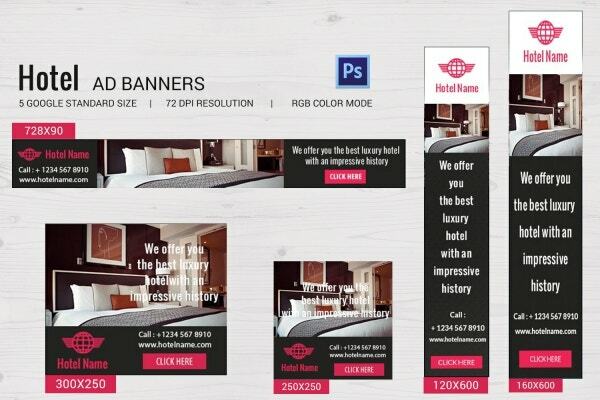 The banners will enable you to advertise your hotel with image, your contact details and a smart CTA “Click Here” button. The banners come is sizes ranging from 160×600 to 728×90. 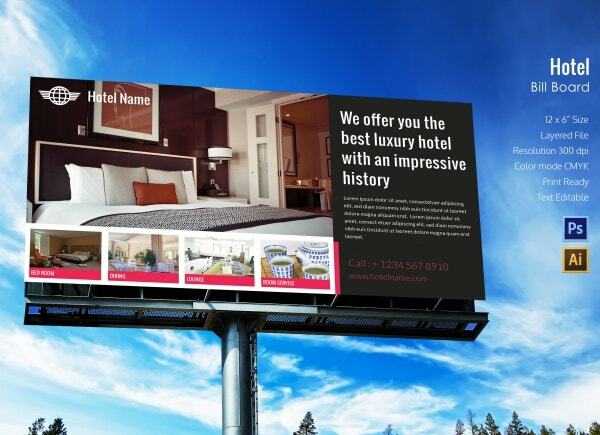 This is a smart hotel billboard template which opens up with a big picture space where you can widely highlight the best area of your hotel. Below, you will find several small picture spaces to offer a visual of your cool lounge, room service, bedroom, and dining area. If you are looking for a minimalistic yet refined appeal for your hotel business card, this template here would be apt for you. 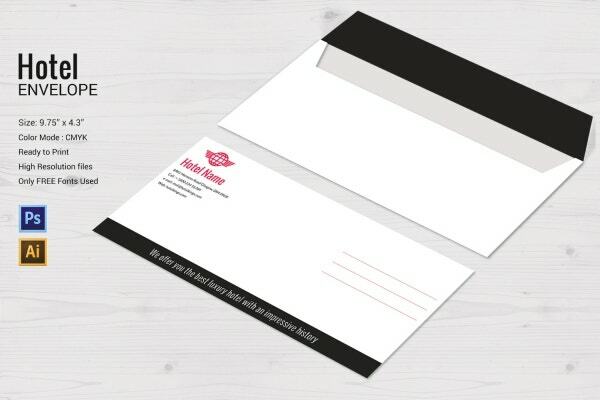 This template comes in a classic black & white combo and you will place your logo mid-way on the card. Your name would be at the top and the contact details would be placed at the bottom of the card. 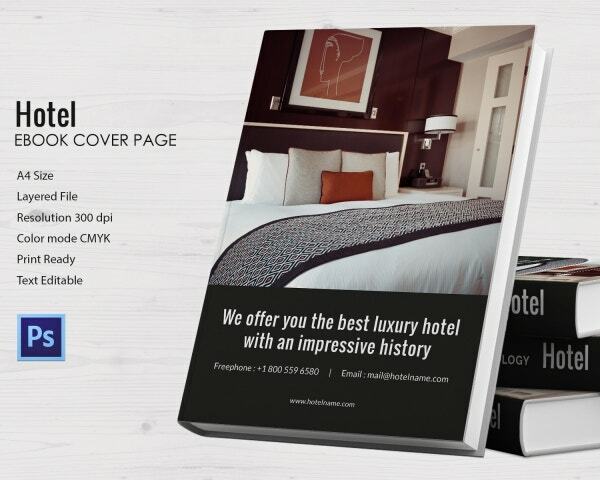 You have a brilliant and smart hotel ebook cover page template here which offers you a grand space for a visual promotion of your hotel. It would be followed by your hotel’s slogan or main essence of the ebook and then you will place your multiple contact details. The template comes in 300 dpi resolution. 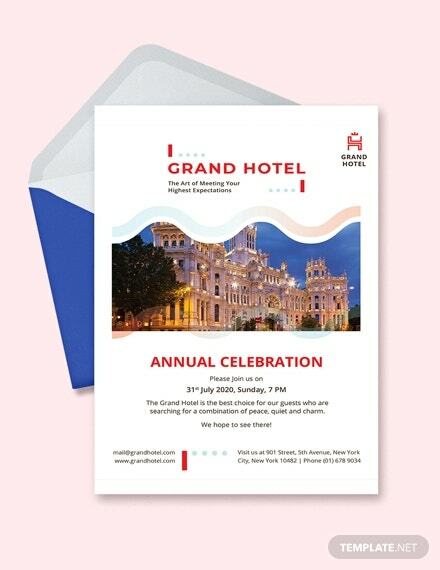 If you are looking for a classy envelope for the text documents of your hotel, you have a fashionable envelope template here. The template comes in the size of 9.75×4.3-inch. 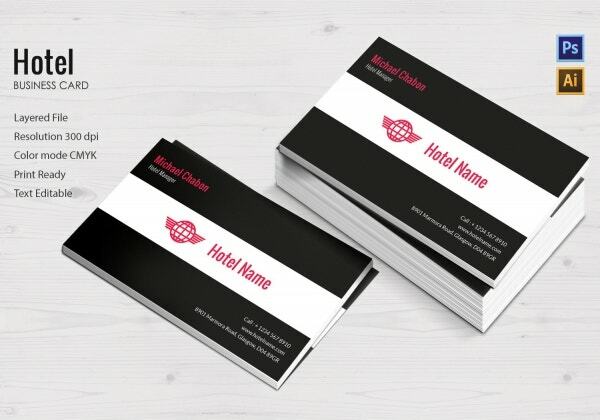 The backside of the template will get you space for your logo, name, and contact details on the left and the slogan of your hotel will appear in big at the bottom. 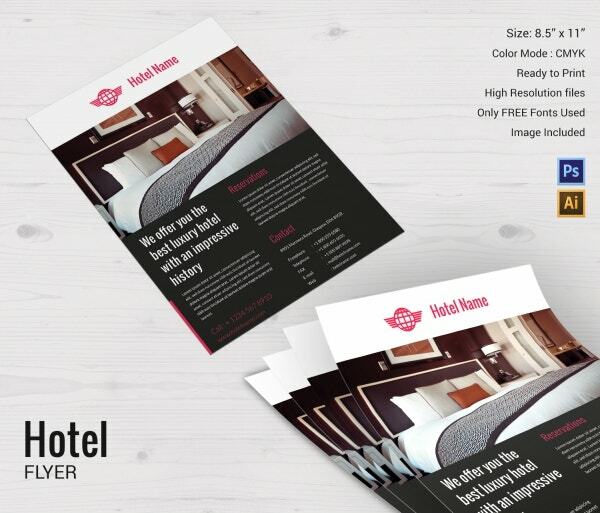 You have an attractive flyer here which will let you spread the word about your hotel in a bright and elegant way. It opens up with a big picture of the best area of your hotel followed by the tagline of your hotel, reservations, and contact details. It comes with a size of 8.5x 11-inch. 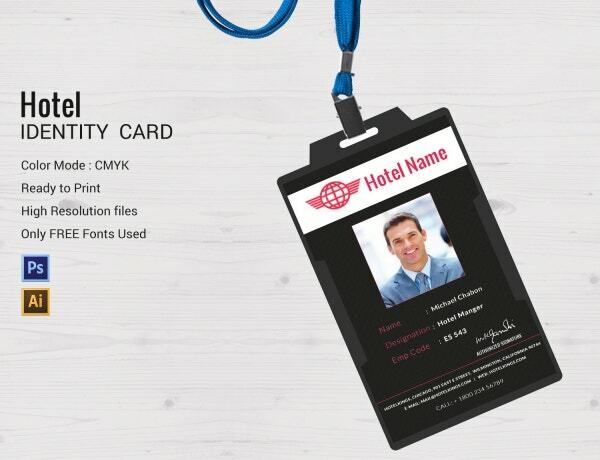 An identity card is a must for every employee of your hotel. This template offers you sizeable space for the employee picture followed by all the standard identity details about the staff- such as the name, the designation, and the employee code. You have a high-resolution file here and free fonts are available as well. 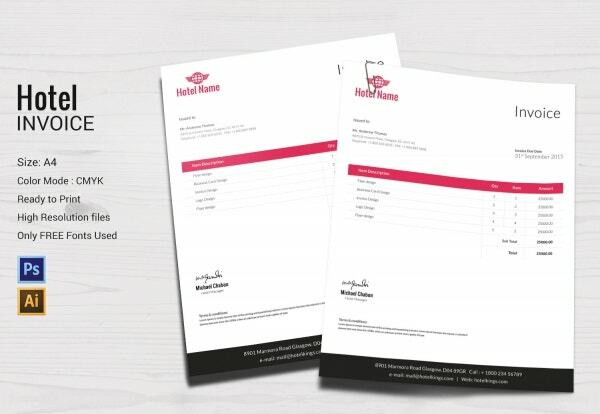 If you are looking for a standard draft for your hotel invoice, this template here would be simply grand for you. The white background looks professional and the pink accent adds on the glamor quotient needed for a hotel stationery. The invoice comes with standard columns on all the standard sections of an invoice such as the item description, the quantity, the rate and the amount. 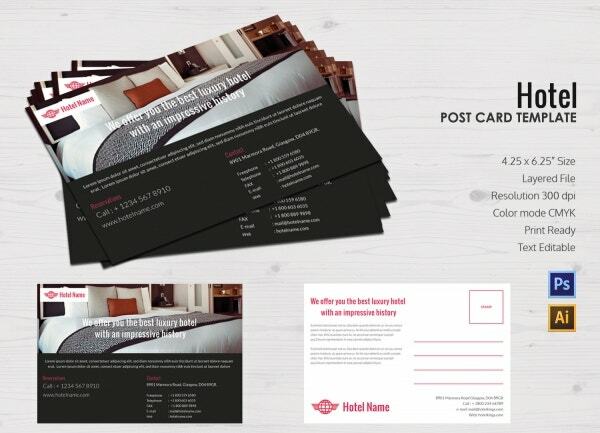 A postcard would be a cool way to spread the word about your hotel and here you have a fancy postcard template. The front-side of the template can be marketed with a sizeable image and below you can offer all your contact details. The backside of the card can be used for your business pitch. 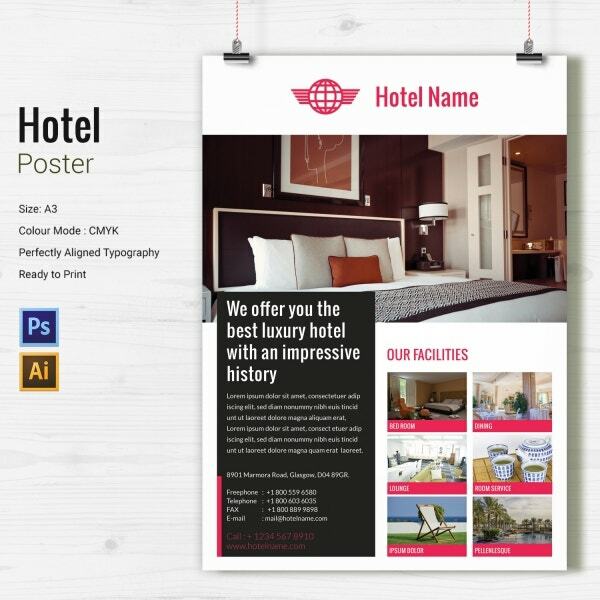 We have an interesting and catchy hotel poster template that will allow you to promote your hotel with 7 images, including one at the top. On the left side, there will be adequate space to illustrate the textual content of your promotional message. It’s professional, smart, and elegant. 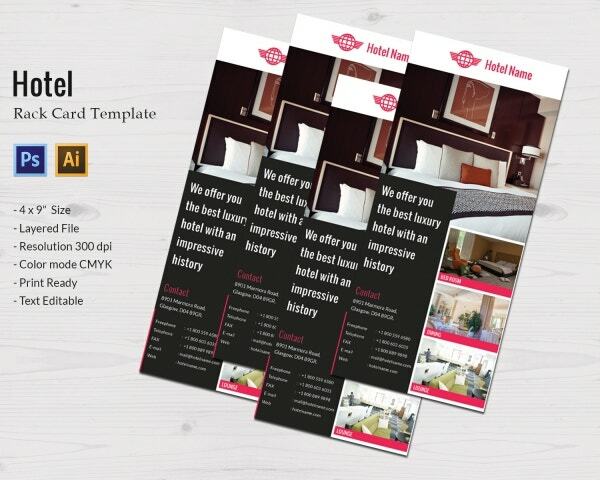 You have a very smart hotel rack card template here that enables you to show your hotel in the best light with images and text. All the template contents can be customized easily. The template will also offer you legible space to include your contact details. The rack card is of 4×9-inch size. In the contemporary social era, it’s increasingly important to get a profile for your hotel on the social media, especially on YouTube, Facebook, and Twitter. If you are looking for ideas on how to set your timeline or account in the most professional manner on social media, you have a really cool bundle of hotel social covers here. They offer you enough space to upload images and you can even include your slogan here. 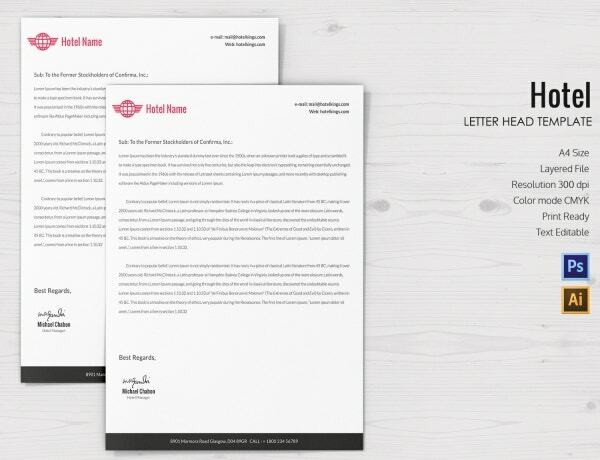 A letterhead is a must for your hotel stationary and if you are looking for help, you have a very smart letterhead template here. It opens with your hotel’s logo, name on the left, and email and website details on the right. Below, you have ample space to note down your text document and the other contact details can be placed at the bottom line.